Do you need high quality, professional and complete seo service ?We provide the most powerful & effective social signal service. Social signals are one of the most important google ranking factor. This way, our services are focused on shares. It works and bring real and organic traffic.In other words if you have more and better links than your competitors, you will definitely rank higher. 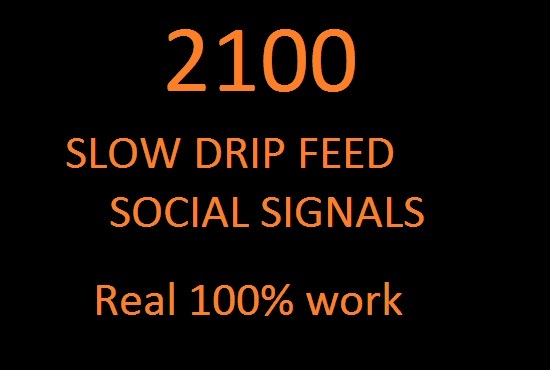 i can 2100 slow drip feed social signals HIGH PR is ranked 5 out of 5. Based on 48 user reviews.